High-Payoff Selling for Underwriting will develop and integrate a strategic environment that advocates a disciplined, predictable, proactive, and productive method for each cross-functional underwriting team to create, harvest, and retain quality opportunities with quality agents. High-Payoff Selling for Underwriting guides each participant down a path of self discovery and performance improvement. It generally begins with an assessment of a carrier’s agency business model, people, and practices. This strategic fitness assessment process evaluates your agency relationship practices, market position, carrier branding, marketing and communications initiatives, carrier culture, service standards and practices, value proposition and strategies for attracting, selling, and retaining desirable agencies. Our common objective is to create an efficient and effective integrated agency development and retention model that is as unique as your insurance product offerings. A model that is designed to take maximum advantage of your strengths and points of differentiation, accurately identify and harvest your opportunities, minimize or eliminate your organizational weaknesses, and neutralize threats to growth and prosperity. Throughout the assessment process, carriers are challenged to cast aside traditional, “legacy” presumptions, historical performance benchmarks, and antiquated agency acquisition and retention strategies. High-Payoff Selling for Underwriting is designed to upgrade and/or replace “business as usual” behavior with an innovative relationship-driven agency development and service strategy that promotes value delivery, integrity and partnership. Novel as this approach seems, the material in the program and our method for design is based on years of functional, hands-on field experience. This coaching, training, and consulting program is written exclusively to assist production underwriting teams to create and implement efficient and effective agency management plans that go far beyond the unproductive, unaccountable, and largely ignored annual agency business planning routine. High-Payoff Selling for Underwriting identifies and prioritizes activities and initiatives that directly support the achievement of four key objectives – Production, Retention, Efficiency and Profitability. The difference between now and then; however, is the speed under which the transformation must take place and the significant consequences that are inevitable for those that can’t or won’t change. In short, High-Payoff Selling for Underwriting is no longer just the right thing to do; it is the required thing to do. Additionally, we will permanently enhance internal and external relationship management proficiencies and communication skills within each underwriting team by conducting a comprehensive and candid review of each participant’s behavioral strengths and developmental needs. 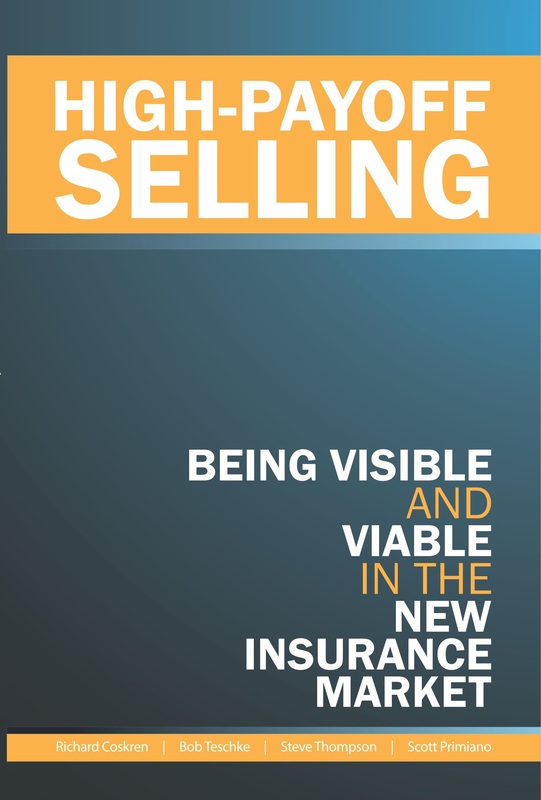 High-Payoff Selling for Underwriting features custom-designed and progressive sales, marketing, and service initiatives that attract and retain desirable accounts, drive revenue growth, and establish new standards of excellence. Participants develop a goals based business plan that results in a significant increase in close ratios, productivity, retention, product awareness, and goodwill. Develop a personal goals program, plans of action, and consistent tracking system focused on high payoff activities. Participants will create a priority management planning system that will define, organize, and prioritize high-payoff, business building and retention activities. As a result, participants will work smarter, live better, and receive a far greater return on their invested time and attention. Identify personal barriers to growth and facilitate a behavioral transition to improve negotiation and communication skills with external (agents) and internal team members. Design and implement streamlined systems and creative strategies to improve consistency, pro-active agency management, value-added service programs, and follow-up efforts. Develop a plan to enhance personal attitudes, self-motivation, entrepreneurial spirit, and self-discipline. Participants will customize and implement a proactive, value-driven, agency management plan that provides a consistent level of contact and ensures that a visible and viable partnership is maintained with each key account. Retention will dramatically improve. In the insurance training space there are countless examples of generalized customer service, sales and service programs. They tend to have minimal long-term affect, and drift forgetfully away. Our real world, no-nonsense, activity-focused program sets the stage for lasting achievement. This simple fact is what makes all of our programs so credible and so popular. "There are so many practical takeaways that will allow me to make behavior changes right away."